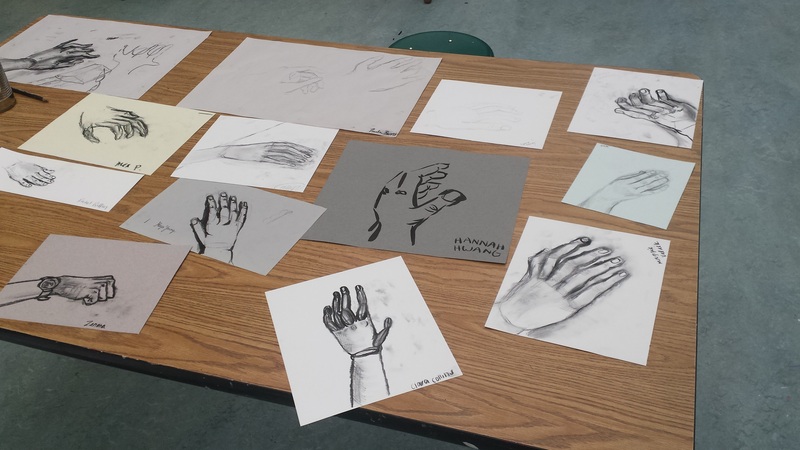 And So It Begins… – Emma Teaches Art! I know, I know, it’s October, but September is a busy month for teachers, especially this one. I have been very busy adjusting for the exciting new changes that came with this year. To begin with, we have two new teachers in our upper school visual art department. That makes four of us. We have yours truly, our foundations of studio art teacher, and Katya our photography teacher, and new this year are Tom, our ceramics teacher, and Lee, our advanced studio art teacher. Second thing that’s new this year is that I’m teaching not only Foundations of Studio Art and Yearbook, but I am adding a section of Studio II. This means I’m dropping one of my four Foundations of Studio Art classes and handing it over to Tom, our new ceramics teacher. I am thrilled to be adding a class, but it has kept me busy with syllabus planning, and making sure to communicate my lesson plans and objectives with another teacher. This also means that the classroom is now being shared by not two, but three teachers at a time. This has kept us very busy, since I saw this as a great time for total classroom re-organization! Finally, LaShonda the Physics teacher and I have been collaborating and lining up our curriculum for the sake of cross-disciplinary learning for two years now. This summer we presented our development of this program at the NCGS conference. However, this year, for the first time, we have to share our initiative with an additional physics teacher and a new foundations teacher. (More on that later.) So big changes, but good changes, and all bode well for the fantastic year ahead. So Lets begin with Foundations of Studio Art. A wonderful place to begin. 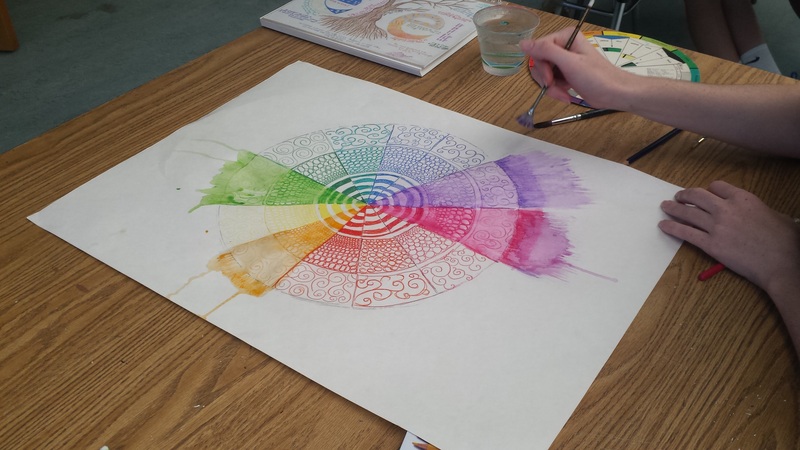 We are once again starting slow and steady with our unit on Light and Color. We began with Color Wheels and are going to work our way up to single object still life paintings. In Studio II we began our year with a unit on line. Line is a fine place to start. Our plan is to move on to book-making as a short break from drawing as well as a focus on craftsmanship, and then re-visit drawing through value, and eventually paint! And Finally, in Yearbook we are charging into the year full steam! Our three student Editors, and our staff are running the show. They have already chosen our theme for the year (TOP SECRET) and our color scheme, fonts, and many other pieces. 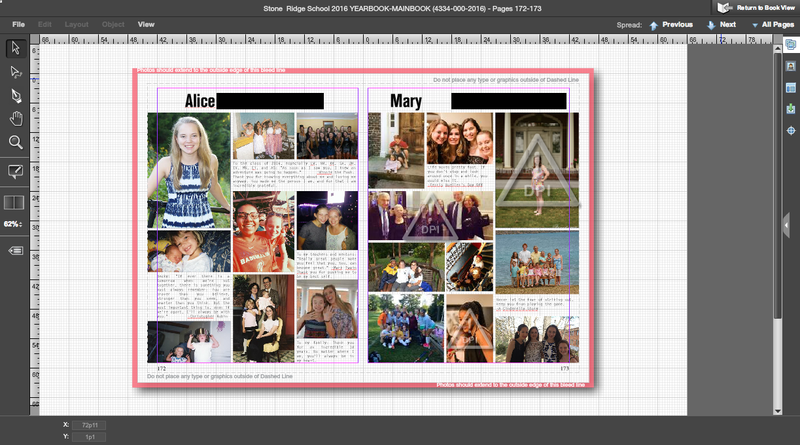 We’ve even started designing the senior pages. These are entire pages of the book, one dedicated to each senior, with photos and quotes selected by them.